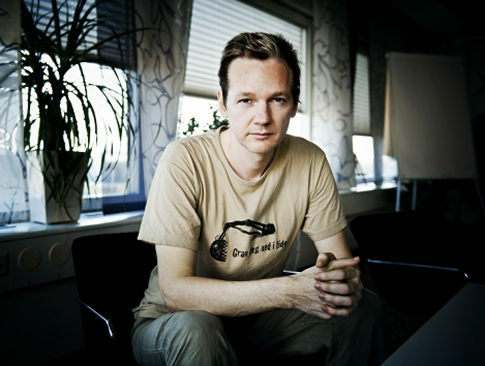 FBI actually leak Stratfor e-mails just to bust Julian Assange? Internal emails disclosed by Anonymous and WikiLeaks suggest that Stratfor, a private intelligence firm working with the U.S. Justice Department. But The FBI turned a computer hacker to build its case against a group of people it alleges are responsible for a string of audacious attacks that captured the personal details of more than one million people. Hector Monsegur, known as Sabu, leader of the Anonymous affiliated hacking group LulzSec, was arrested by FBI agents in his New York apartment on Monday, June 7, 2011, at 10:15PM. On August 15, Monsegur pleaded guily to several counts of hacking and identity theft. Seeing that Xavier 'Sabu' Monsegur had apparently been working for the FBI for the last couple of months, it isn't too far-fetched to think that the leaks of the Stratfor e-mails given to Wikileaks by Anonymous was nothing more than a tactic to entrap Wikileaks and build a case against Assange. Was the arrest last week of the five LulzSec members just part of an intermediate stop gap in the pursuit of a far more prominent fugitive, namely Julian Assange, founder of Wikileaks? Additional self-incriminating Tweets from Sabu’s Twitter account also implicate him as one of the Stratfor hackers. But if Sabu was in fact working for the FBI, how could the Stratfor hack be anything more than a clearcut case of entrapment perpetrated by the FBI?